The Mint Museum is the premier art museum in Charlotte, N.C., and one of the top museums in the southeast United States. 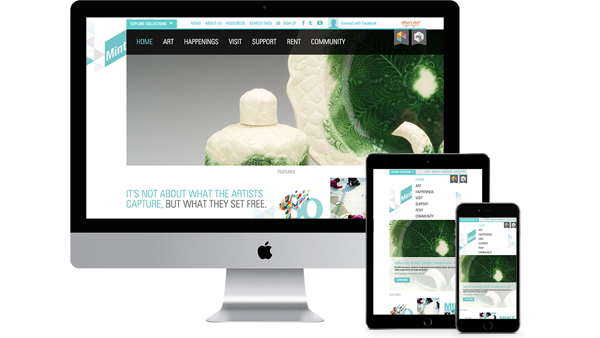 Originally The Mint Museum came to Worthwhile to build an engaging marketing site for the museum. We have since added a full online art collection section integrated with their in-house database. The flexibility of django CMS lets The Mint Museum keep its site updated with the variety of community events and in-house exhibitions it does to engage with the community. This increases connection with the community and ultimately drives attendance and a love for art in the area. One of the best uses of the CMS is the timeline section on the page celebrating the museum’s 80th anniversary in 2016. The flexibility of django CMS allowed for an engaging timeline built with a reasonable amount of effort. django CMS allows The Mint Museum to keep its site fresh and inspiring through easy in-house updates and an expandable framework that can showcase all of the community outreaches and exhibitions The Museum gives to the Charlotte community.